Twin Otter approaching South Caicos. 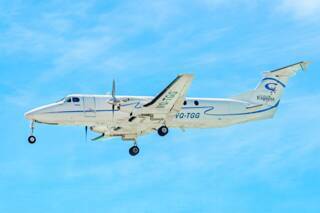 Small twin engine aircraft are typically used for charter flights in the Turks and Caicos. A Caicos Express Beechcraft 1900 over Providenciales. The Turks and Caicos is a rather small archipelago country, yet small aircraft remain a primary means of transport between islands. There are two domestic airlines based in the country, with scheduled flights between several islands, yet due to irregular schedules and large groups travelling together, charter flights may be necessary, or simply make financial sense in some cases. 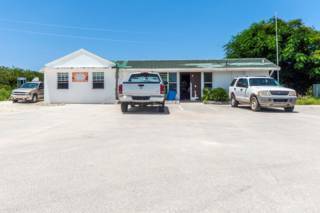 The Turk and Caicos features several inhabited islands, and guests staying on one of our smaller boutique islands may opt for the convenience of a charter flight over the domestic flights and ferry services. 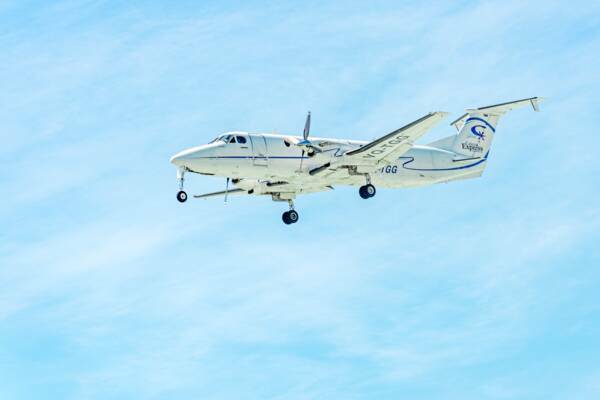 Charter flights on Providenciales often depart from one of the island’s two private FBOs, so the usual airport queues are avoided and there’s typically very little wait. All scheduled international flights to the Turks and Caicos land at the Providenciales International Airport (PLS). 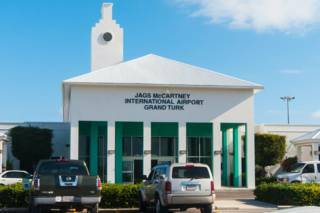 The Grand Turk JAGS McCartney International Airport (GDT) is also an international airport, yet no scheduled flights service the island at this time. These two airports are the only two in the country typically used by jet aircraft. Guests arriving via a scheduled international flight and staying on an island other than Providenciales will have to travel to their final destination island by boat or small plane. See Domestic Flights and Ferries for information on regular services. Charter aircraft in the Turks and Caicos tend to be small twin engine planes, such as the Beechcraft King Air, Britten-Norman Islander, de Havilland Twin Otter, and Cessna 402. Grand Turk, South Caicos, Salt Cay, North Caicos, Pine Cay, and Ambergris Cay all have functioning and surfaced airports or airstrips. 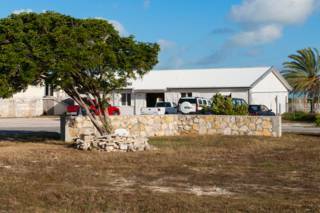 Middle Caicos does not have a staffed airport, and typically does not see any flights. 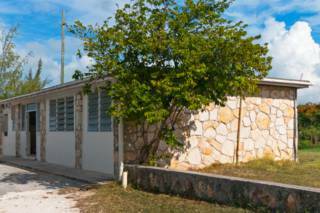 North Caicos and Middle Caicos are connected by a road causeway, so guests wanting to fly to Middle Caicos land on North Caicos and make the scenic 15 minute drive over to their final destination. The boutique island of Parrot Cay does not have an airstrip or airport. Passenger transfers typically take place by boat from Providenciales. 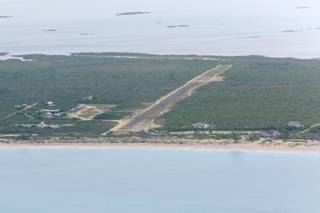 West Caicos has a disused unsurfaced airstrip. It’s currently unsuitable for aircraft. The airstrip was originally constructed in 1972 by an oil company that was considering an oil transhipment hub on the island. The two local airlines, Caicos Express and interCaribbean, also serve as the primary charter flight companies in the Turks and Caicos. Both airlines have scheduled regional international flights, and are happy to accommodate charter flights to many destinations in the Caribbean. 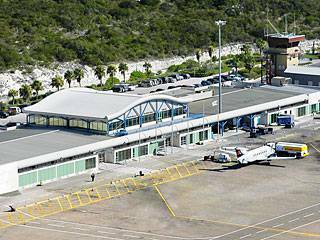 Providenciales International Airport (PLS) information. Learn about flight arrivals, departures, check-in times, parking, transport, shops and dining, and more. The JAGS McCartney International Airport (GDT) is the only airport on Grand Turk and one of only two international airports in the country. This small and quiet airport on North Caicos (NCA) has an asphalt runway. There are no regular scheduled flights that land here. Found near the settlement of Conch Bar, this airport has largely been inactive since the construction of the North Caicos – Middle Caicos causeway in 2007. The airport has a small “terminal” building and a 2200 foot paved runway. 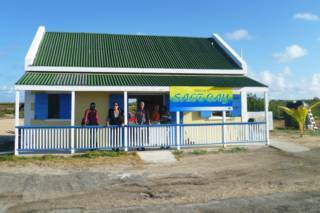 The South Caicos Airport (XSC) is a small regional airport with a 6000 foot (1830 meter) asphalt runway. Several scheduled flights from Providenciales and Grand Turk land here each week.